The New Work Initiative is an open submission competition whose primary goal is to bring the best theatre and new voices from the United States to China and vice versa. This is why we’re interested in new works from playwrights who are hungry to be heard and are willing to discover new technology to bring their work to the stage. The submission is free. The best works are selected by a board of 5 judges who read the submitted scripts and ultimately decide on the best work. The play that gets chosen will be produced in 2019 with a significant budget and for a year-long tour in China with a potential remount in the States. Other winners will also be selected. The 5 judges consist of a mix of industry individuals and individuals from Performing Arts schools. Eligibility: Must be an original work. No previous production and publication all around the world. Has never granted and will not grant other individuals or entities to use the script in anyway before the the choosing outcome is issued. Can be a play, performance art, movement piece, physical theatre, dance, musical, etc. No restriction on plot, content, or themes. Children’s plays accepted. Submissions will only be accepted in English. The show that is chosen will be translated to mandarin for the Chinese Tour in 2019. Open to making use of new technology, Projections, holograms, media technology, virtual reality, etc. Casting all parts for a one-act play to be performed in March. The play will featured four smaller acts - connected by one character. Most scenes will be two people, dialogue heavy. Each character will be on stage for an average of 20 minutes. Play runs about 85 minutes. Production Dates: Rehearsals begin the last week of January, and will require up to 12 hours of rehearsal (split into five to six rehearsal sessions); show will have a mandatory dress rehearsal on Feb. 28. Show will run Mar. 1, 2, and 3 in NYC. All shows will be at 9 p.m. If the show sells well, additional dates will be added. Pay: Pays: $150; this includes rehearsal time. If show is extended, further compensation will be negotiated. Casting a 4thU Artivists production of "#UsToo: Shattering the Silence," a play. Production states: "It will be a powerful evening of theater and dance depicting a vision of women's rights as a unified global event! All ages and genders welcome. We're casting a diverse, multicultural cast to perform a combination piece of multiple scenes and monologues. Net proceeds of '#UsToo' go directly to local beneficiaries who work to end violence against women and girls. 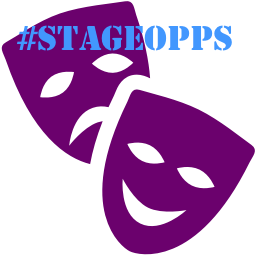 Everyone on the team and in the show volunteers their time and we ask that all actors/actresses also volunteer for at least one task beyond their performance on stage. That’s how we get large audiences and raise the money for those who need it most." Production Dates: Performs March 8, 9, and 10 in NYC. It’s happening again! Every year our Art + Technology Lab releases a call for proposals for artist projects. Learn more about the 2018 RFP. Applications are due February 21 by 11:59 pm and awards will be announced in April 2018. All proposals must be submitted via the online portal. Awards are given for a period of one year, and during that time the artist is encouraged to pursue new directions in their work that explore ideas in technology and culture. Preference is given to projects that are speculative in nature and provide opportunities for public engagement, through crowd-sourcing, talks, demonstrations, maker events, or performance.